I had a chance to travel to Ipoh. Now sadly in all my years on this earth I have never been to Ipoh, only passed through, and to visit someone while passing through and for a Dog Show when I was a wee lad. Now the funny thing is my Mother is from Batu Gajah and yet we never ever venture to that area. So this time my new BBF Singapores Culinary Goddess Teoh Seok Hean offered to take me to Ipoh and of course I jumped at the opportunity. I was so excited because all I knew about Ipoh food is that they have nice fat bean sprouts and they produce out of this world Koay Teow (Ribbon Noodles). 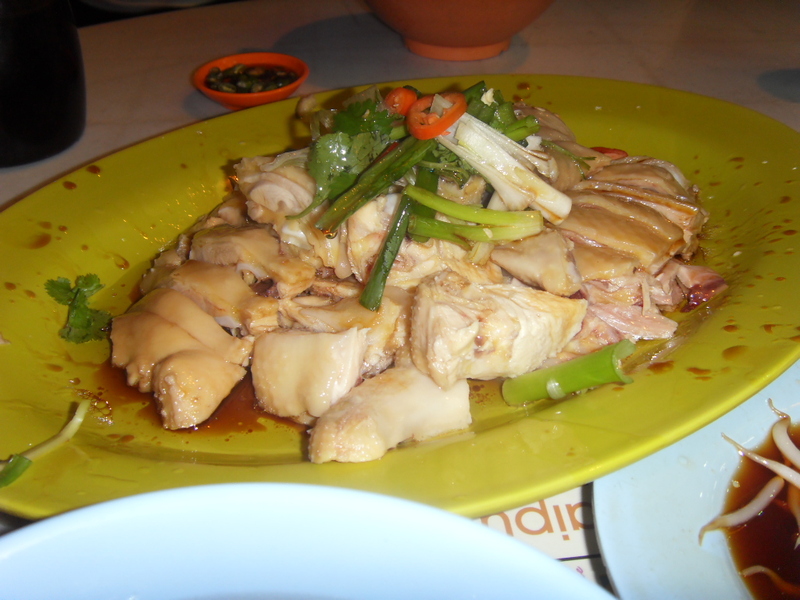 That too was courtesy of Seok Hean on her last visit to Ipoh. Another fact about Ipoh is that most Miss Malaysia’s come from Ipoh, most notably would be our very own Datuk Michelle Yeoh. So Wednesday was a big rush to finish work for Saturday as I would be gone till Friday evening. Rush! Rush! Rush! It was and what a waste of time because that evening they called to change the date. I was rather peeved and could have used a lot of swear words but I held my tongue as it was no use telling the idiot off because it was clearly out of his hands. Now I know the importance of having everything in black and white. Anyhow, as angry as I was, this silly incident was not going to be a dampener for my trip to Ipoh. I waited patiently from 3 pm. I kind of felt like my Aunty Mary who would be ready be ready and packed to leave for the railway station to Penang at 4 pm when her train was scheduled to leave KL at 9 pm. Hope I don’t become like that. Ok I digress, this is because I am still excited about this trip. 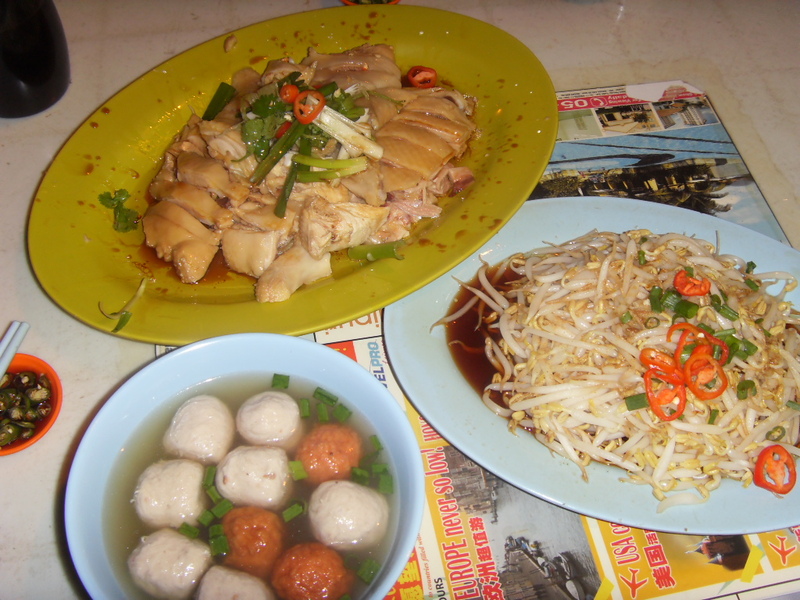 Anyhow while waiting, my friend Sarah Carol called and when I told her about my trip she told me I had to have the Chicken with Ipoh Bean Sprouts. She said it was the best and it was something I could not leave Ipoh without trying. I had a rough idea but still was clueless of whole thing. Seok Hean and Eddie arrive and whisk me away! Eddie is my good friend of many many years and Seok Hean is his wife. Seok Hean and I get on like a house on fire much to the chagrin of Eddie who I am sure wonders what we talk about every day when we are online. So off we went through the 5 pm traffic, I was entering a totally new frontier. Last time I was on this side of the highway was in the 80s. How shocking is that? Everything looked strange and new. The whole trip to Ipoh was a wonderment, and of course the bad idea of making me sit behind is that I can talk and talk and talk without getting car sick! I probably gave Eddie an earache. 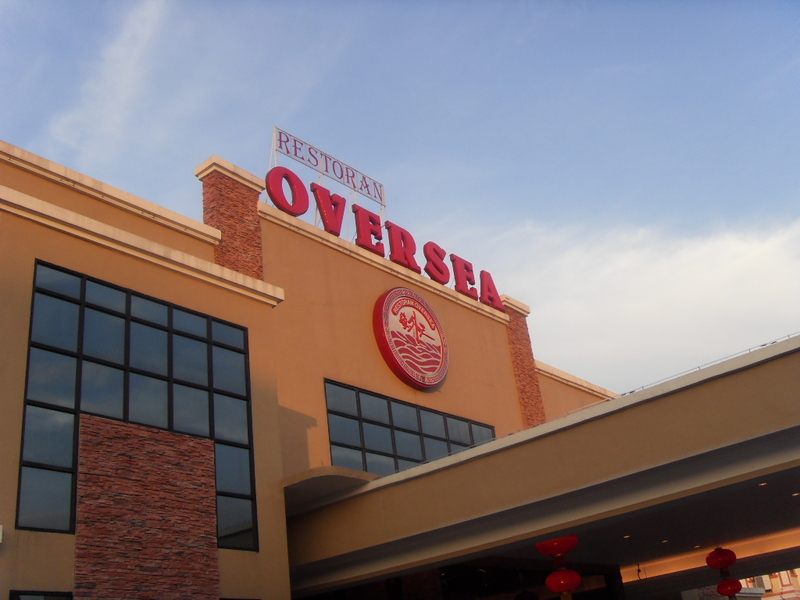 So we reached Ipoh what do I spot…. Old Town Coffee and Pappa Rich, and its marketing strategy of always being close to each other was also practiced in this land of good food. 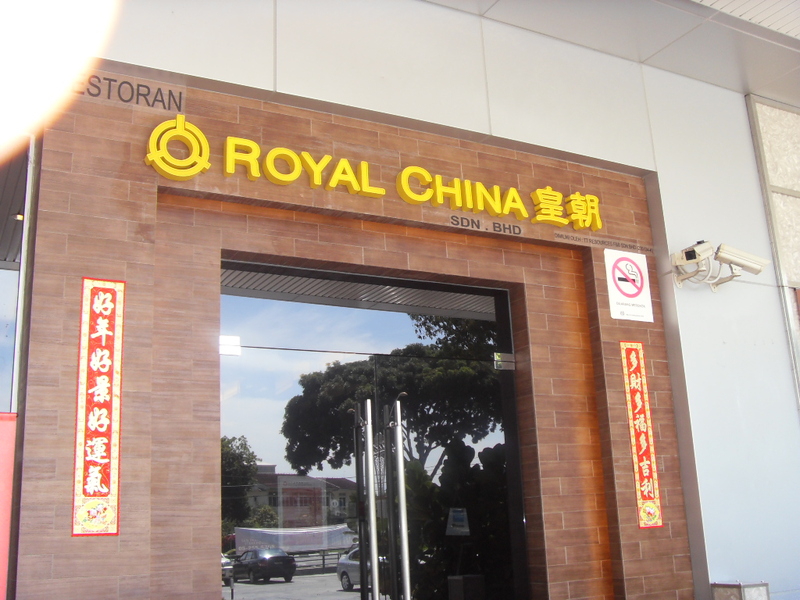 Now I wonder what their food taste like in Ipoh? Hmmm must check it out next time. Digressed again… see how excited I am? So we reached Seok Hean’s house and I was introduced to this very ladylike very regal woman. 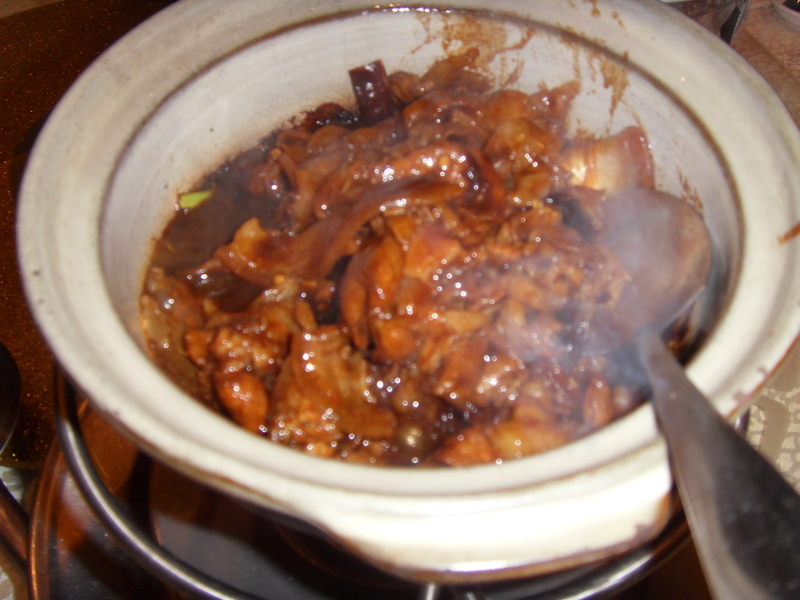 I am told Mrs Teoh is Gourmand herself but due to age and health issues she hardly cooks these days. I now know where Seok Hean developed her Goddess like ways in the kitchen. While Seok Hean would be a little like Nigella, Mrs Teoh was much like a classy British Martha Stewart or kind of like Delia Smith with much more gentility and a lot more class. We also met Ah Yoke, who has lived with the Teoh family and is quite the Goddess of sorts in the kitchen as well..a no holes barred kind. Now I love Ipoh Bean Sprouts. 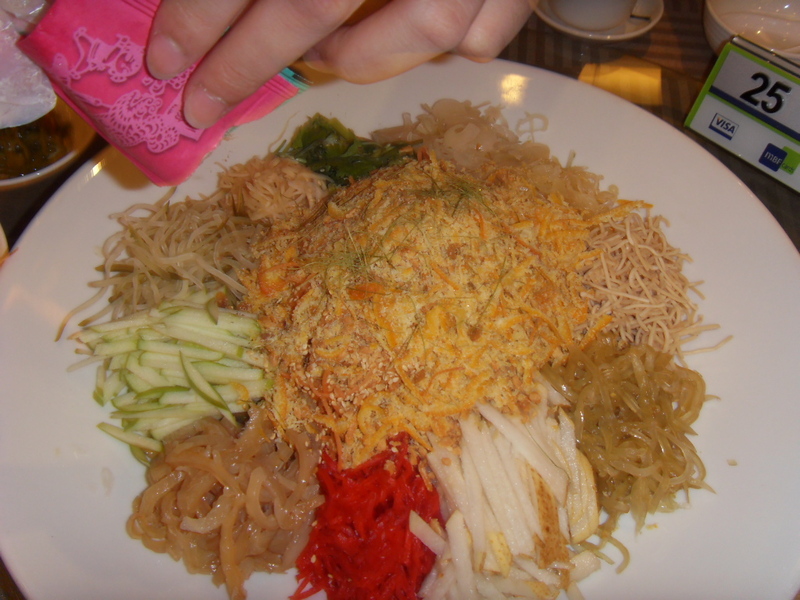 I have eaten our usual one in KL and also in Australia, and nothing matched Ipoh Bean Sprouts. They say it is the water over there, because the Bean Sprouts in Ipoh are fat, has a distinct flavor and crunch, and is just tasty even eaten as a salad. 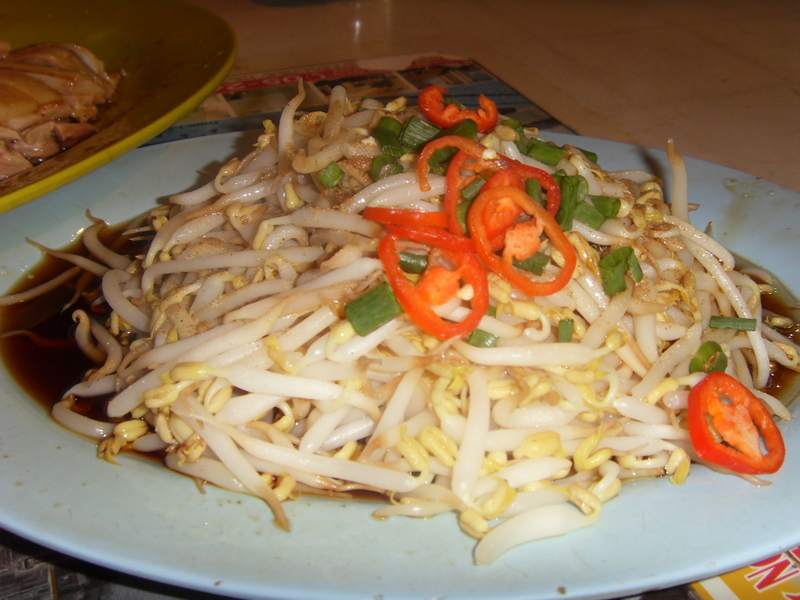 I love my Ipoh Bean Sprouts cooked as little as possible because I like to eat my vegetables crunchy. Our first stop was through a number of roads and finally we reached the Pekan Baru Police Station to the junction of Yau Teck Shin Road. Low and behold, almost every shop sold Ngah Choy Kai. 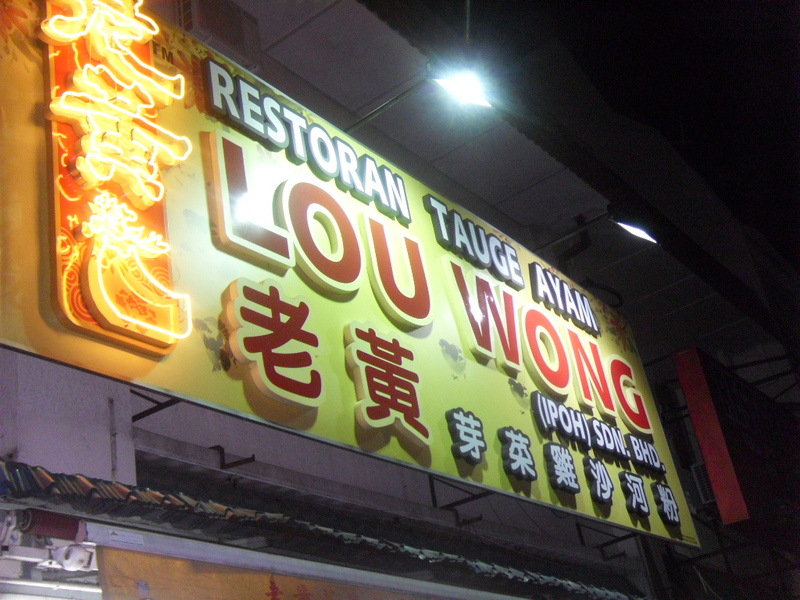 I guess as usual the busiest shop would be the best, so we ended up at Restoran Tauge Ayam Lou Wong. The place was crowded as can be and it was almost 10 pm. Eddie ordered and in a jiffy a bowl of fishballs appeared. 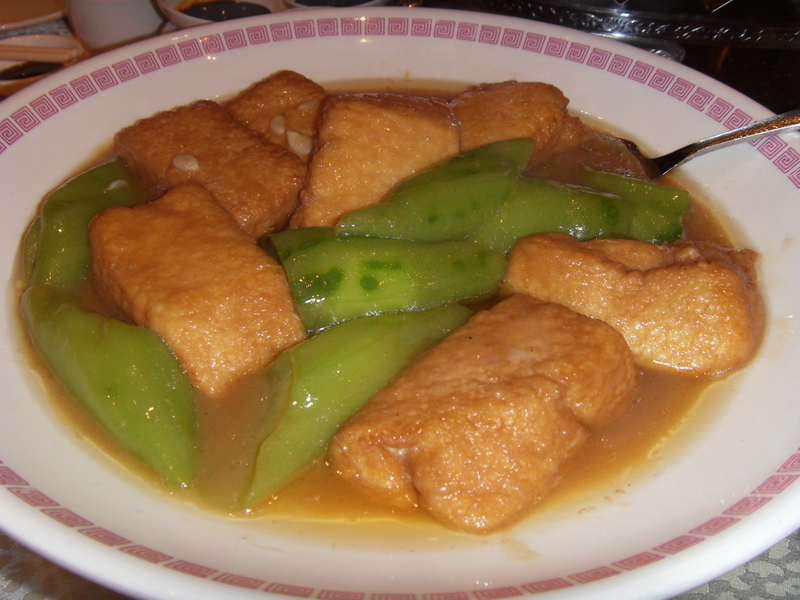 Now I am sure I have mentioned I am not a fan of fish balls. So ok I was ‘riveted’. 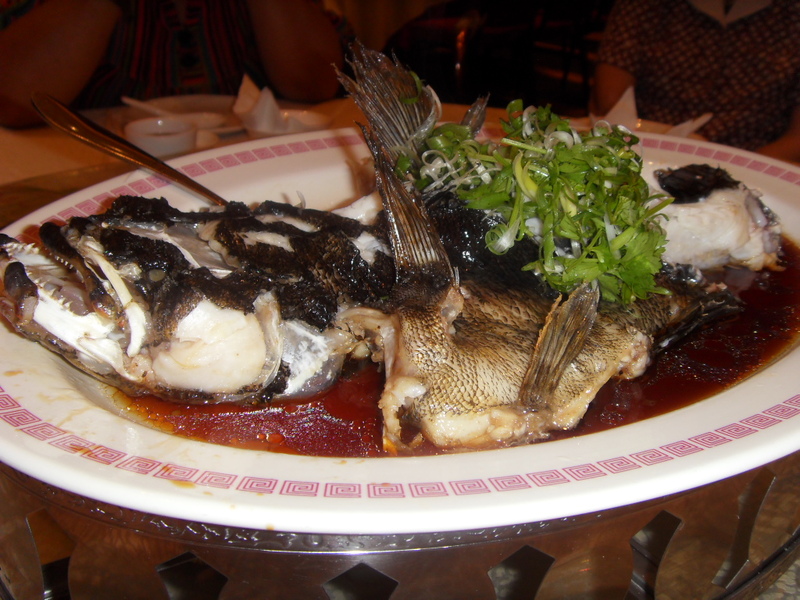 Then Seok told me to taste it and holy cow…. It was so nice. The right texture and sponginess and it tasted like the meat it was suppose to be as opposed to Mystery Meat Balls in the case of Kuala Lumpur style fish balls or any balls for that matter. 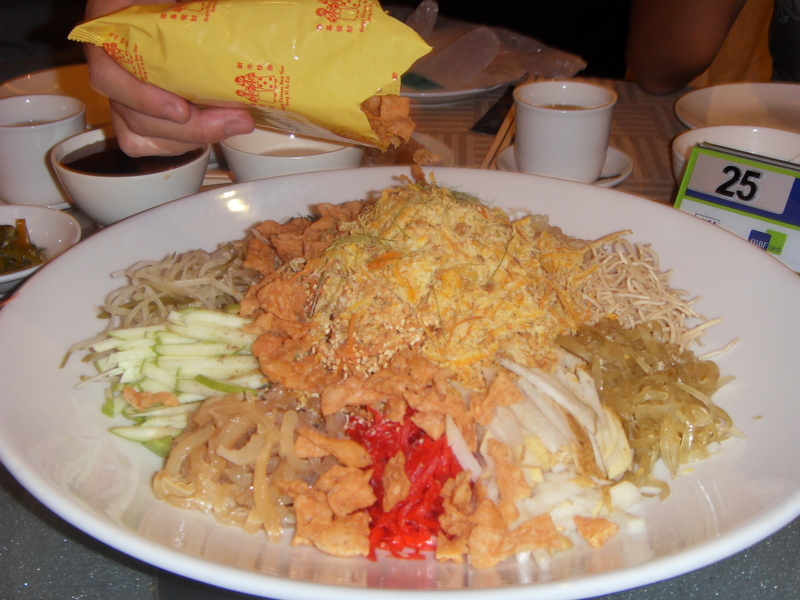 Hor fun appeared, I was excited, and then the bean sprouts and chicken was placed in front of us. 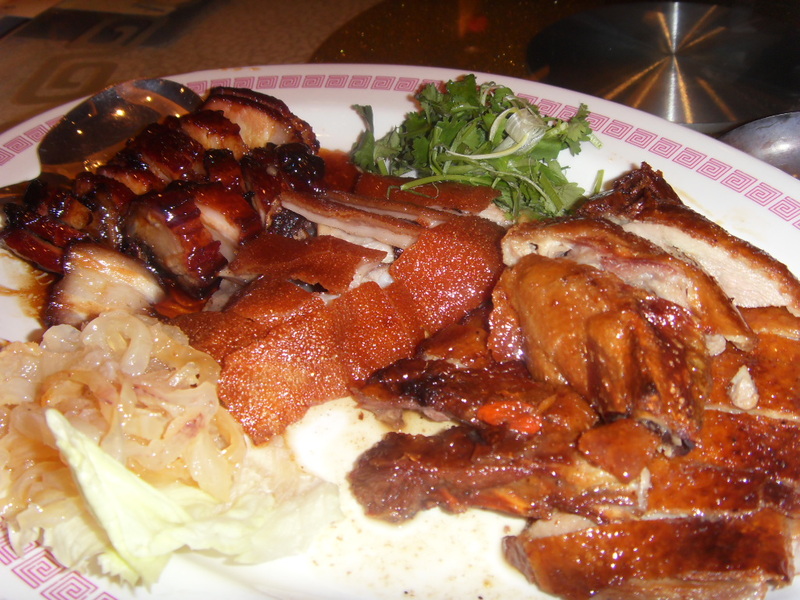 It looked like the average hawker fare, nothing to shout at presentation, but it all changed when you took a piece of chicken and tasted it. It was melt in the mouth silky and perfect to the touch. I had never ever eaten chicken like that before. I even ate the skin. Now I never eat chicken skin!! It was fantastic. I wished though they would cut the chicken a trifle bit bigger simply because I have a big mouth. It was a little too dainty but it was really good. The simplicity to it all made it that much more better. 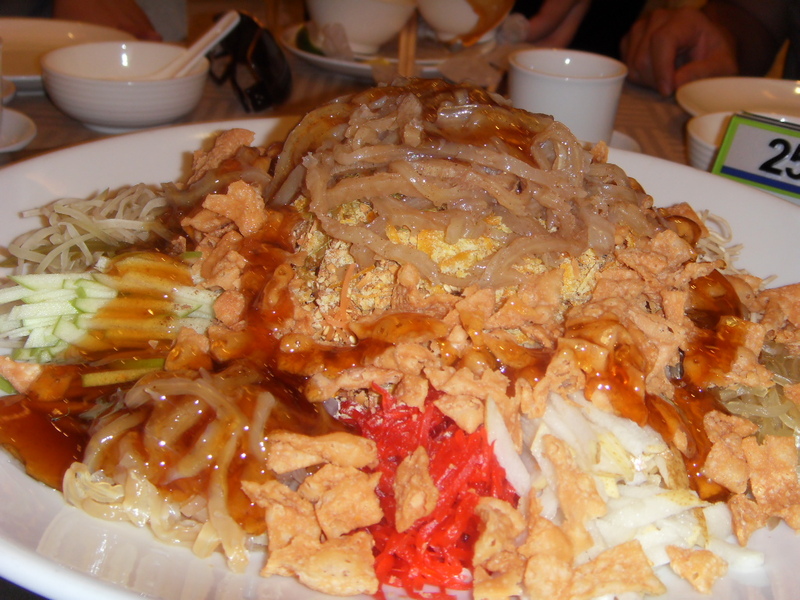 The noodles were as usual just out of this world. No need to go there or this piece will never end. I did forget to take a photo for some odd reason. 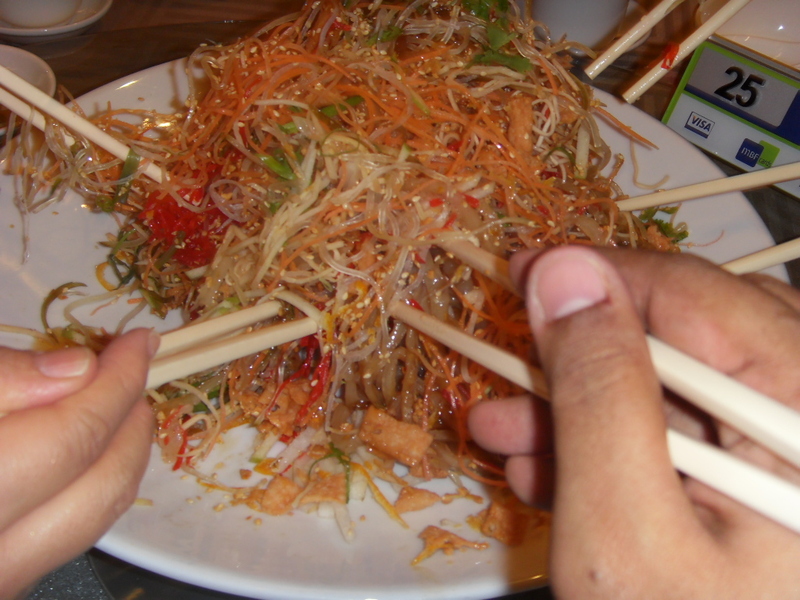 Now the beansprouts. PERFECT! Just the way I like it. They must have known! NO one gets it right in KL, not even the regular places I hang out at. And even with the simplest of instructions I never ever get them to do it right over here. Today it was PERFECT! 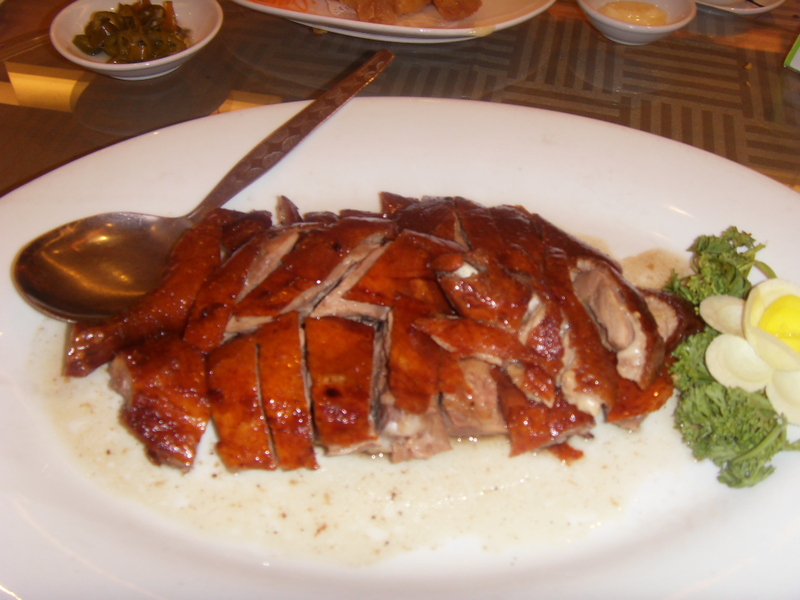 The soy sauce dressing like gravy with a hint of sesame, real chicken stock and the hint of pepper, it was again simplicity taken to a new high. 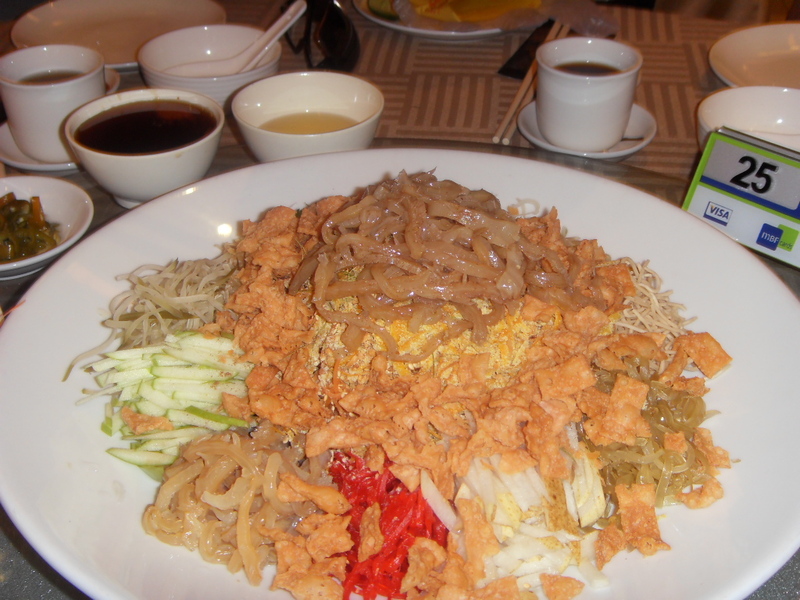 You could not spoon the dressing and drink it on its own, I tried it and it was salty as, but together with the bean sprouts it was just perfect. 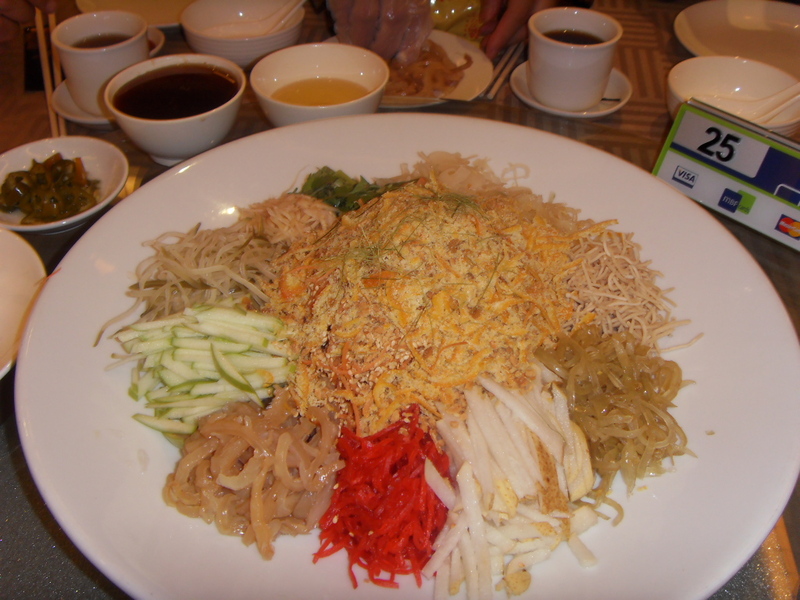 The tender flavor that oozes out of the bean sprouts when you chew on it with the dressing, is really unimaginable. I could have had more but I was being polite. Everything was perfect. I wish we did not arrive so late. And one more thing. Another first for me. I actually say by the roadside to eat. I never do things like that anywhere because I always have this fear of being attacked or some car will fly over something and land on top of me. Only me of course and no one else! So all my life I have never sat outside a shop serving anything, especially one that had tables on the roadside. 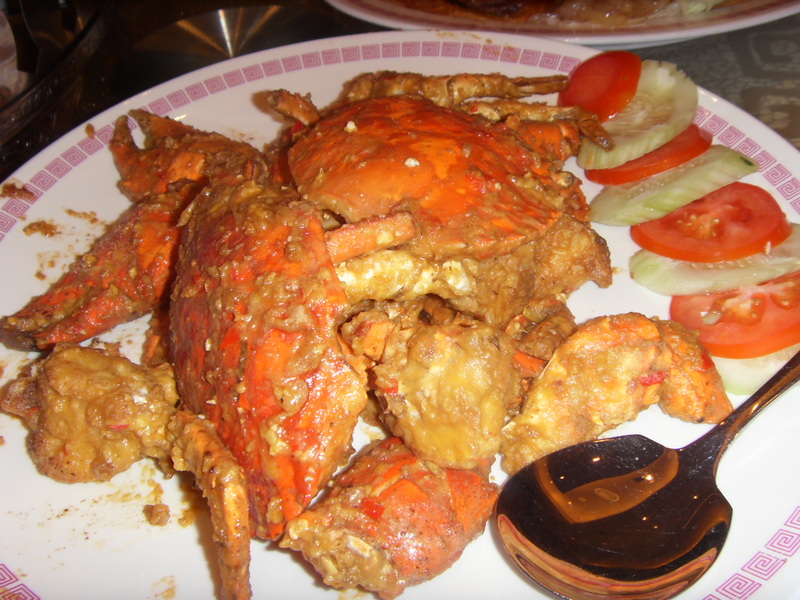 Lou Wong has a branch in Petaling Jaya at PJU 1 Sunway Mas. I must go and have a try, since I know the original one and all. They are even on facebook! 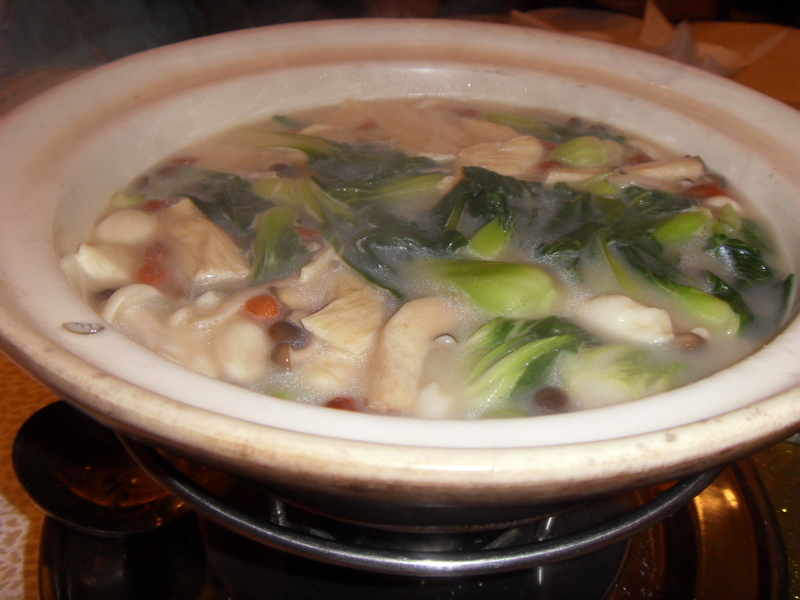 I was so full, full of balls, full of chicken and hor fun, but I was glad a lot of it was also vegetable. A thoroughly balanced meal. Lou Wong set the standard that Wednesday night. I knew my trip was going to be one that would be truly memorable. Breakfast beckons. Now I wonder what Seok Hean and Eddie have in mind?